Hasan Kaymak pulled from his archives a smartwatch concept dubbed HKI One Wear, that would make a fine HTC Android Wear device. 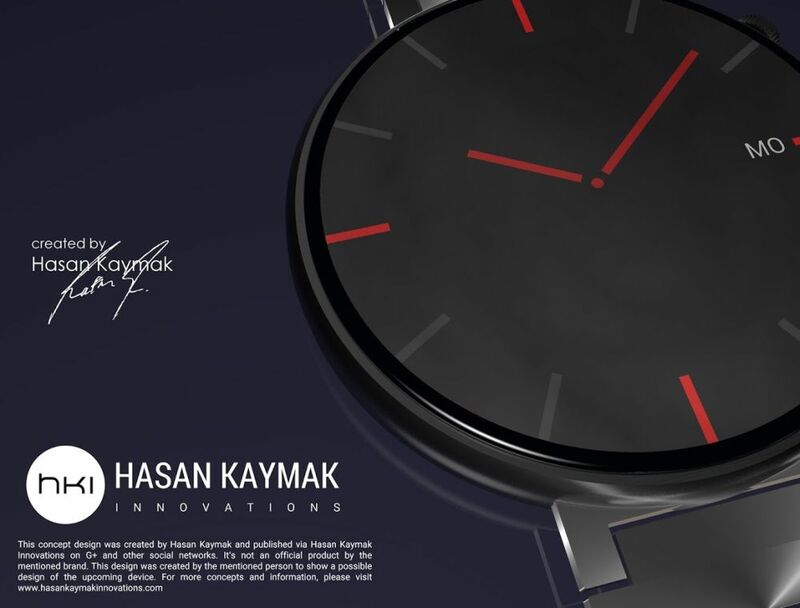 HKI stands for Hasan Kaymak Innovations and this model features a rounded body and elegant metallic strap. The device has some nice looking crown buttons on the side, very elegantly finished. 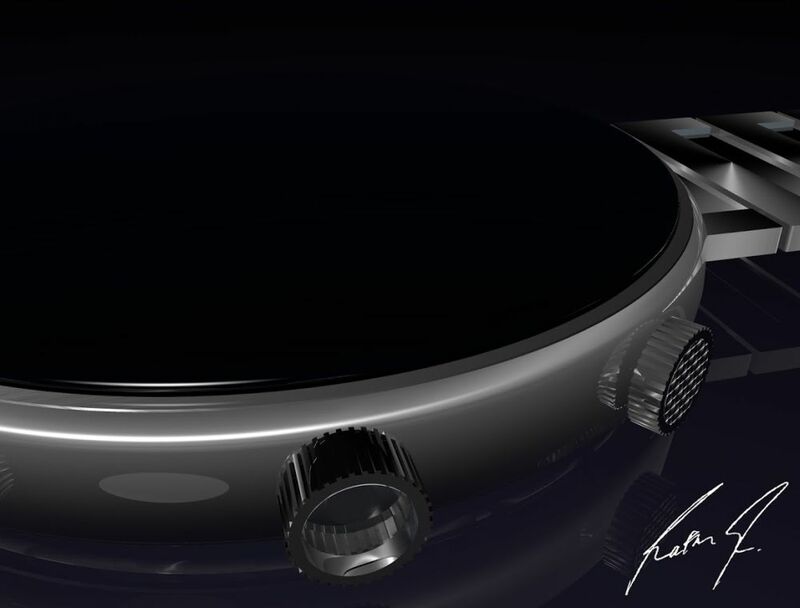 The device runs Android Wear with a very minimalistic UI and don’t be surprised if BlinkFeed makes the cut, as well as HTC Watch and other services and features, maybe even a remote Zoe or something. 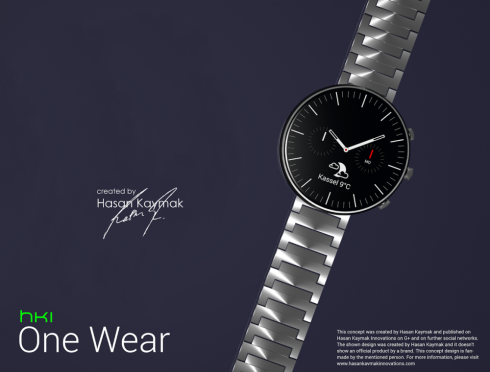 It would be nice if HTC launched its very own fitness service, making their watch even more unique, but enough about HTC and let’s focus on HKI. 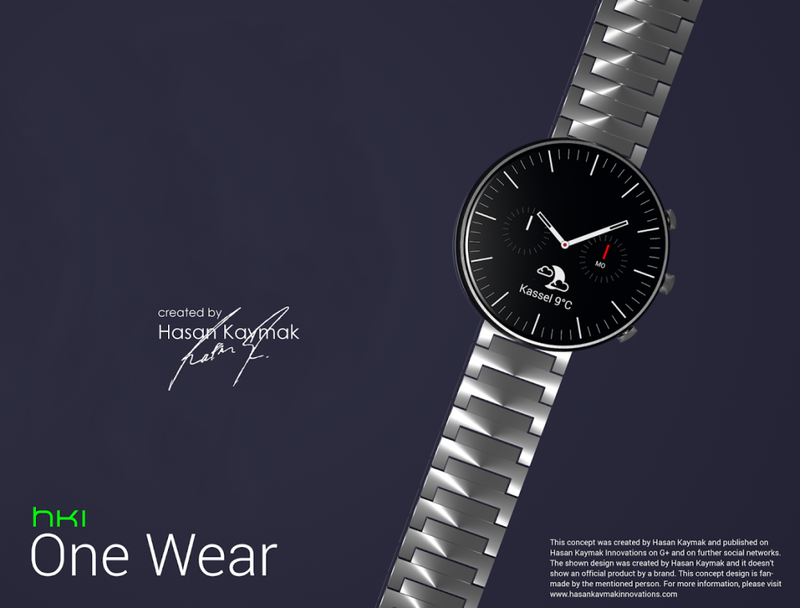 This one is a premium model, certainly not a mass market one, but rather one with a stainless steel case and strap, that should make you spend hundreds of dollars for. Why not thrown in a sapphire glass, a phosphorescent glowing light and an augmented reality app that connects to your phone and shows you stuff from your surroundings on the watch’s screen. How crazy is that?